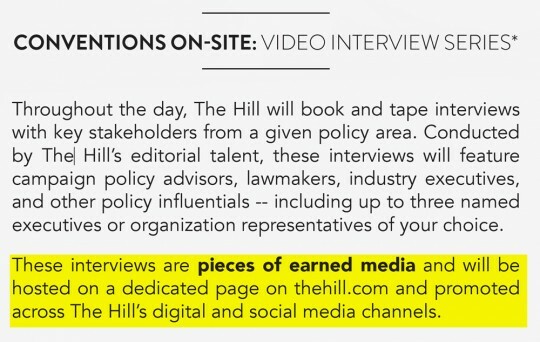 Sponsors who pay $200,000 are promised convention interviews with The Hill’s editorial staff for “up to three named executives or organization representatives of your choice,” according to a brochure obtained by The Intercept. 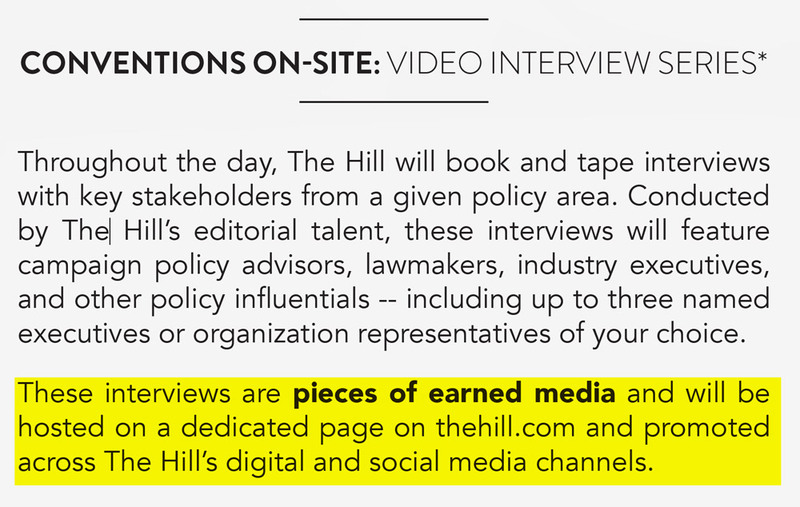 “These interviews are pieces of earned media,” the brochure says, “and will be hosted on a dedicated page on thehill.com and promoted across The Hill’s digital and social media channels.” Our inquiries to The Hill went unanswered.The Economist, along with its subsidiary CQ Roll Call, similarly offers convention sponsorship packages. Sponsors can share lunches or dinners “with top policy experts from CQ Roll Call and The Economist” that are livestreamed “so your reach extends beyond the room.” According to the website advertising the packages, sponsoring a meal is also good for “getting your CEO publicity — we’ll film an interview segment after event concludes.” The Economist/CQ Roll Call did not respond to our inquiries. 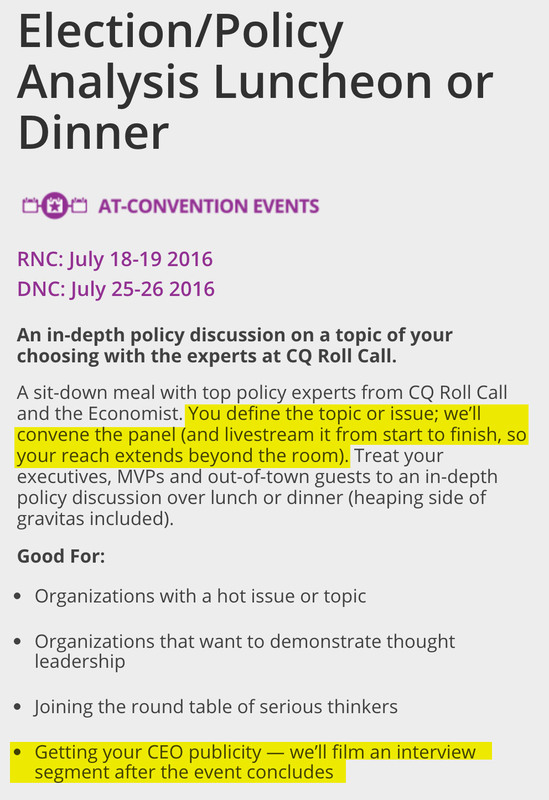 The Intercept asked both Politico and The Atlantic if such sponsorship deals might make it difficult to ask adversarial questions to sponsors at these events. 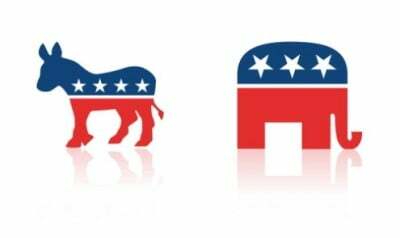 “We do not defer any of that control to event underwriters. 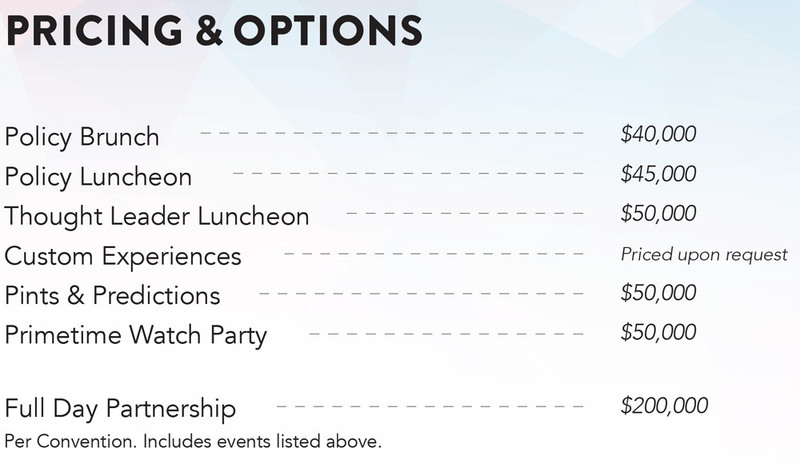 Our events are produced by an Atlantic editorial team, which has full control over speakers selected and panels produced, and events are moderated by journalists — both from The Atlantic and outside of it — who have complete editorial independence over each conversation,” Anna C. Bross, senior director of communications with The Atlantic, said in a statement. Politicodid not respond.